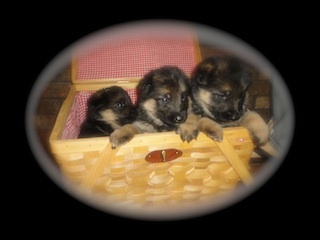 Select K9's, LLC accepts all major credit cards. 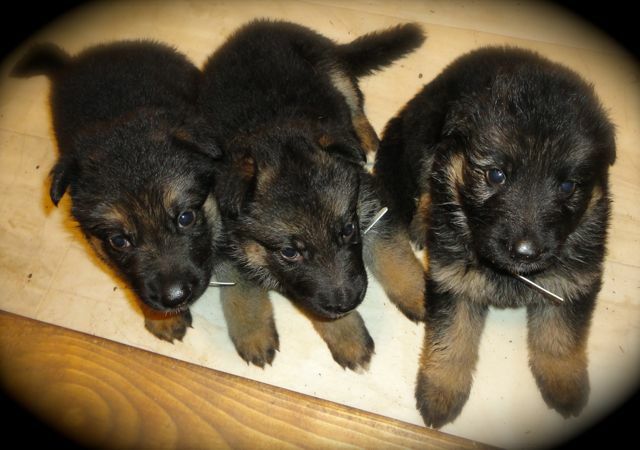 - Select K9's, LLC reserves the right to have "first pick" of any litter, as well as Law Enforcement pick. 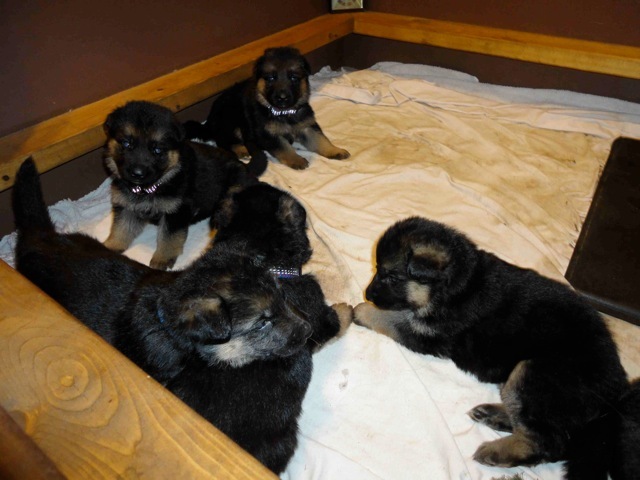 - Unless otherwise noted, all of our puppies will come with "limited registration" (no breeding rights). 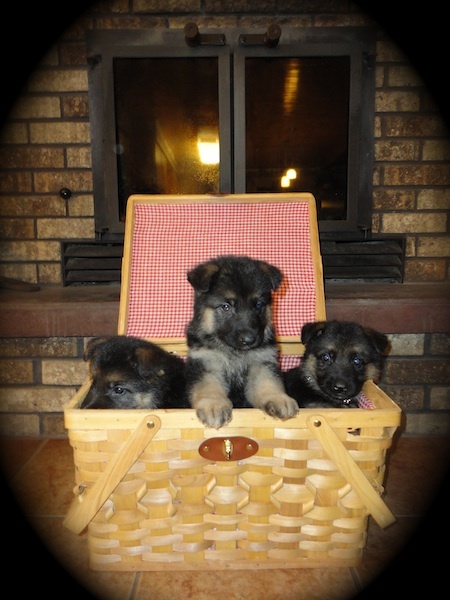 Please ask us if you are interested in breeding. 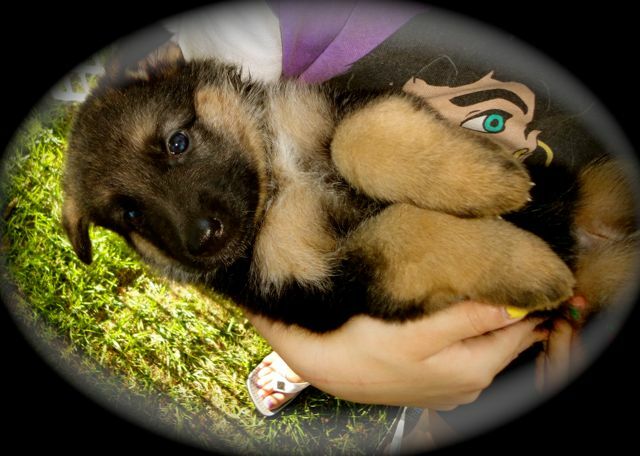 - We do require an interview before placing a puppy or a dog. 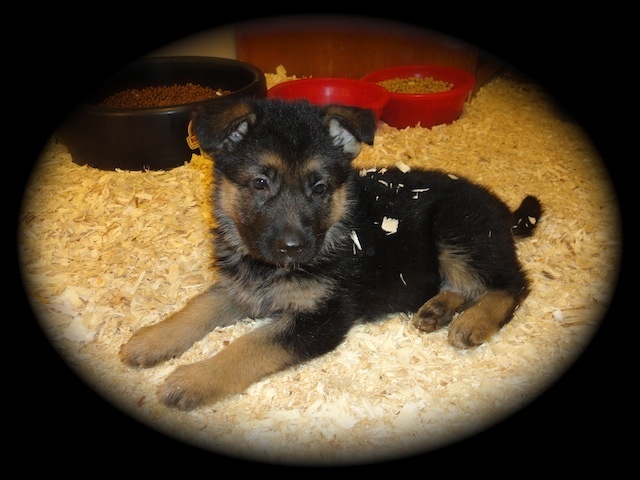 WE HAVE PUPPIES AVAILABLE TO GO TO THEIR NEW HOMES AT THE BEGINNING OF MAY AND NEAR THE END OF JUNE! 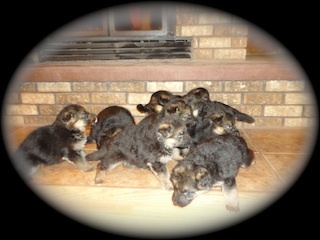 *Please visit our "upcoming litters" page for more info and to view our current reservation list. 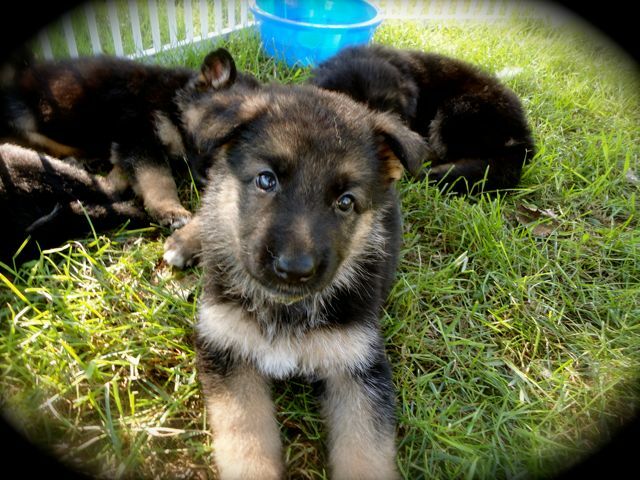 *For the most up-to-date puppy pictures and puppy videos, please visit our Select K9's facebook page. We update our facebook page much more often than we do our website. 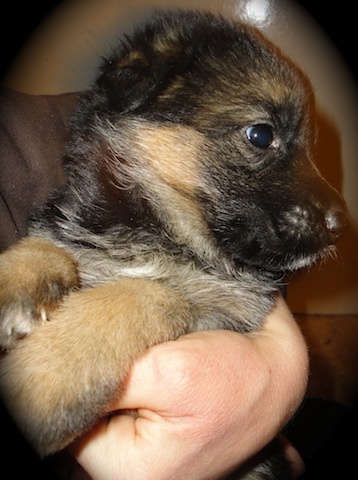 We plan our litters well into the future, please let us know if you would like to be on our waiting list! 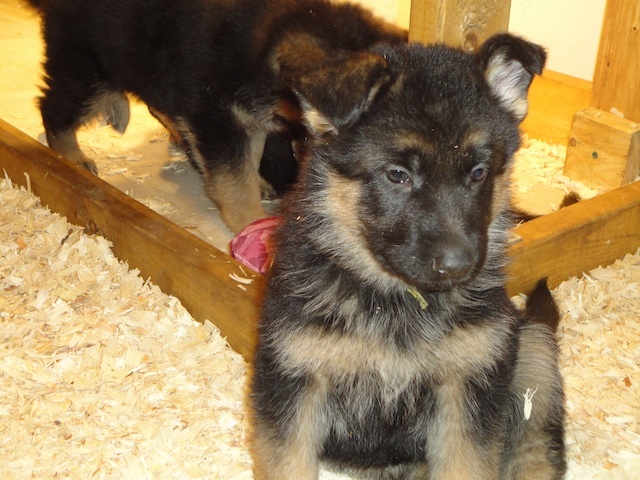 Select K9's cannot guarantee that a puppy will be of show or work quality. 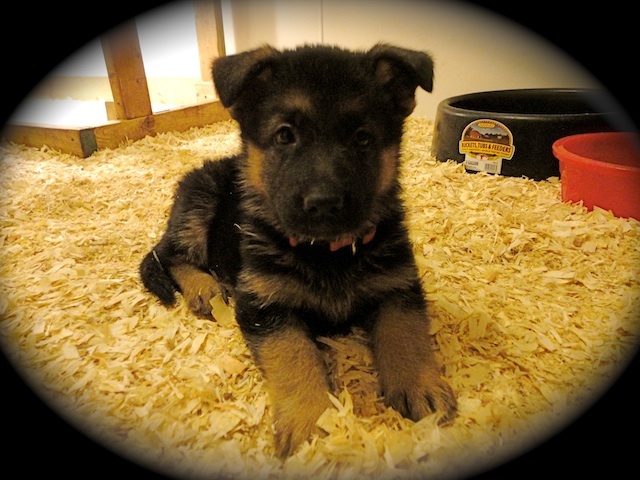 Adding a new puppy to your home should be a 13+ year commitment. 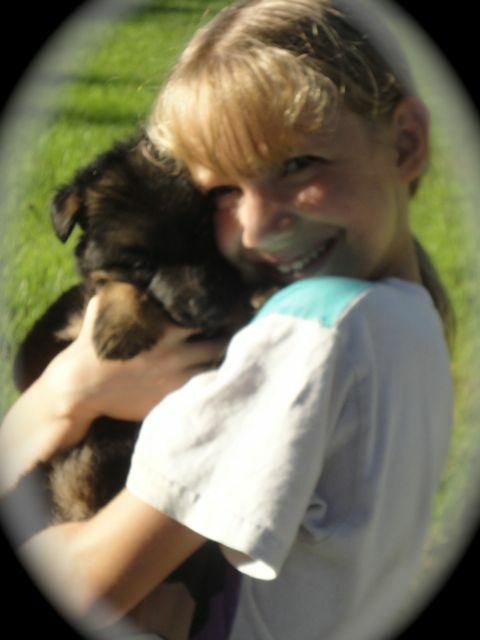 We want to make sure that our puppies are going to a good home and we want to make sure that our puppy is a good placement for the new owner. 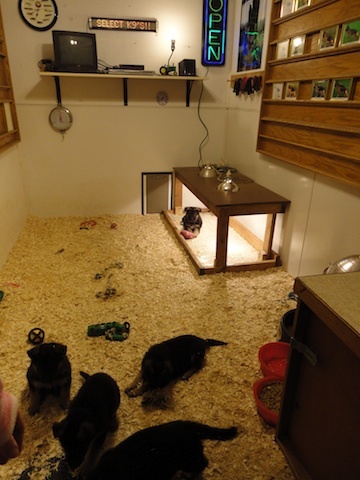 For this reason we do require a phone interview before placing a puppy or a dog. 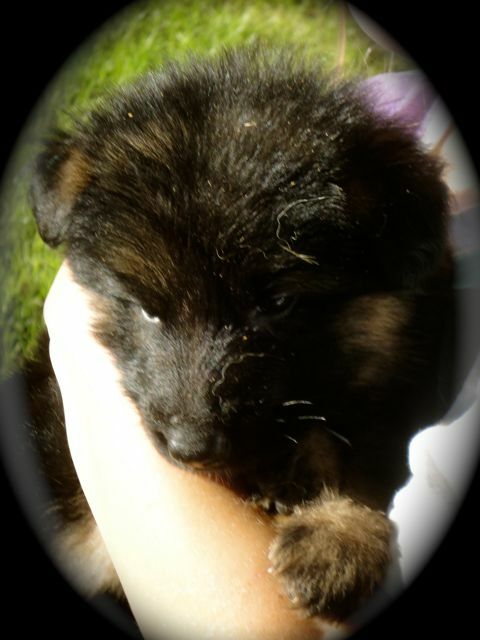 PLEASE SEND US AN E-MAIL IF YOU ARE INTERESTED IN RESERVING A PUPPY or if you have any questions. Because of the high number of people contacting us, we prefer e-mails first. 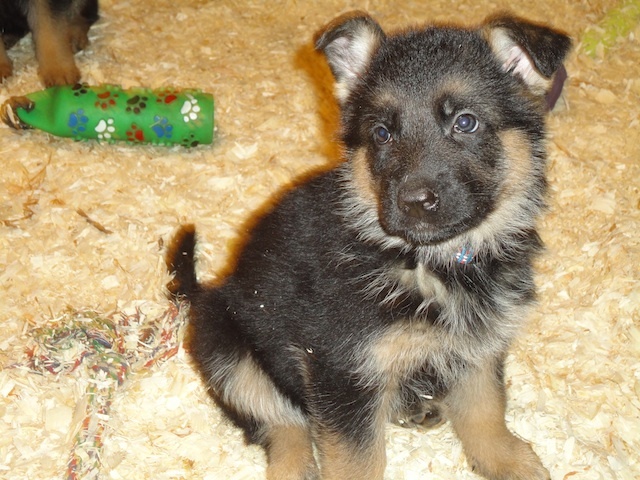 A $250 deposit is required to reserve a puppy. 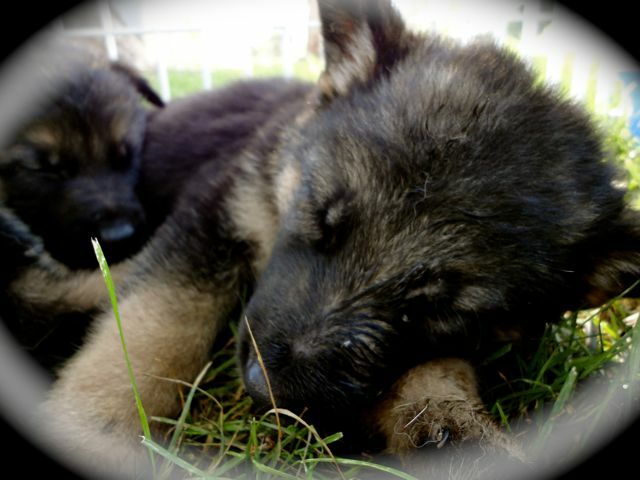 Our puppies usually go quick... in many cases before they are born. For this reason it is important to be put on the reservation list. 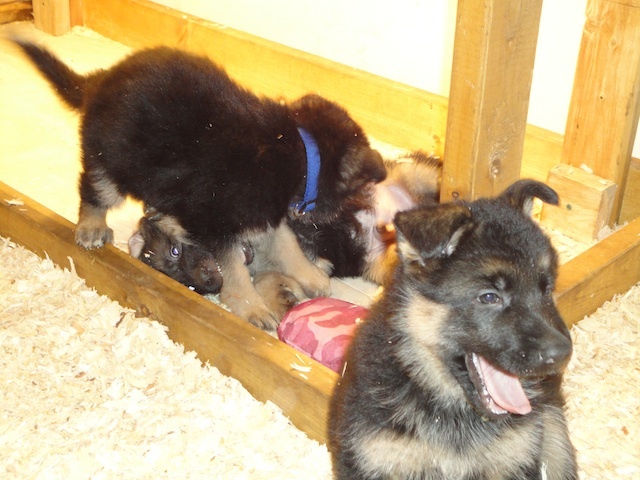 Congratulations to Oriana on her first litter of puppies!! 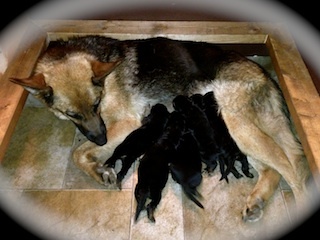 She is proving to be a very good mother! I don't know if I have ever seen a mother give as much attention to puppies as she does. She keeps them corralled close to her at all times and is very protective of them! 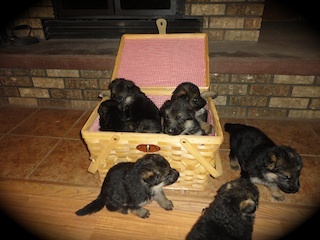 She feeds them often and all six are very healthy fat little puppies. 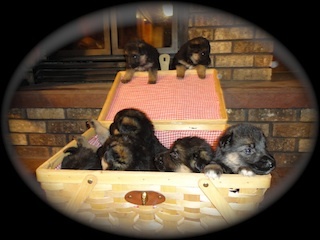 4 girls and 2 boys! G.S. 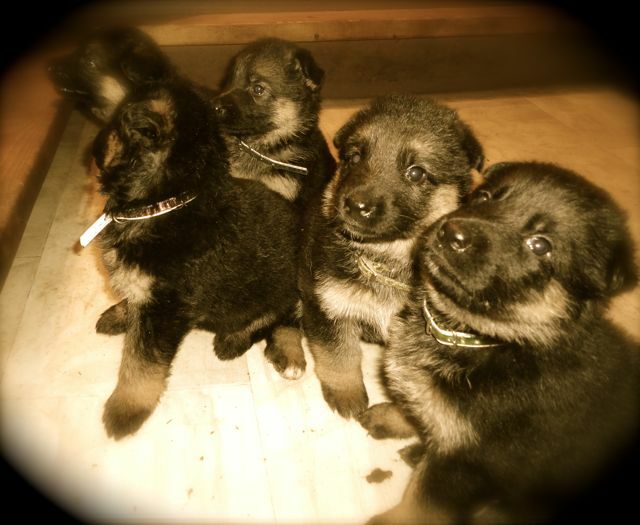 puppies are born mostly black and get lighter in color as they age. 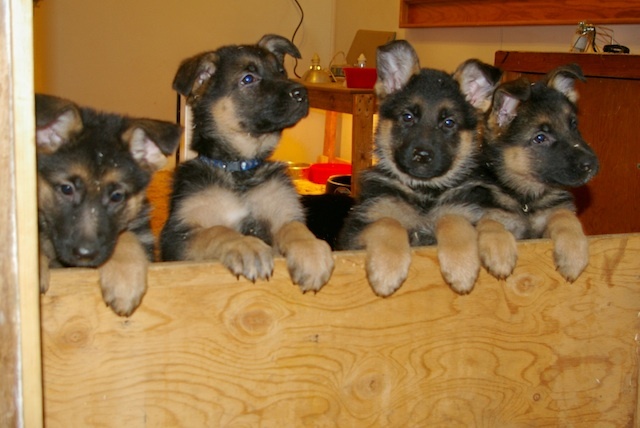 They should grow up to look very similar to their parents. 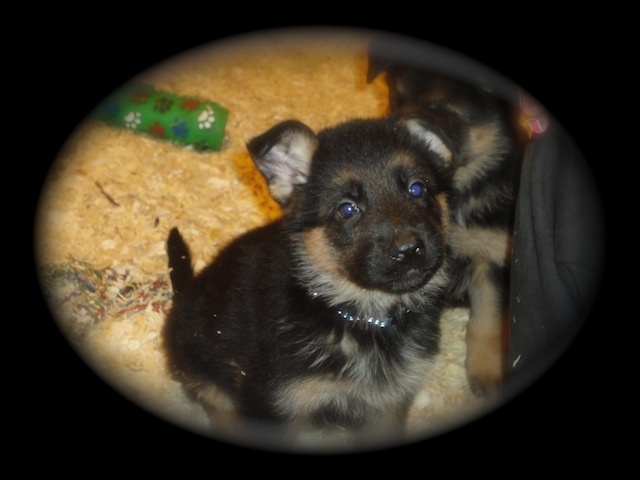 Ruger and Katina's litter will combine some of the most famous bloodlines in Germany VA3 Erasmus van Noort (Katina's father), Wallace aus Agrigento, and Orbit von Tronje!! VA4 - VA1(N) Natz vom Steigerhof, and 2X VA1 Yasko vom Farbenspiel !! Great News!! 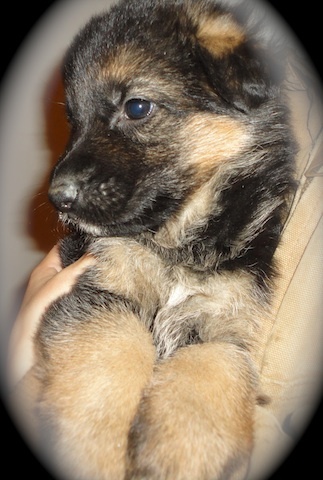 The vet confirmed Katina's pregnancy, so as of now we are accepting deposits to reserve her puppies. 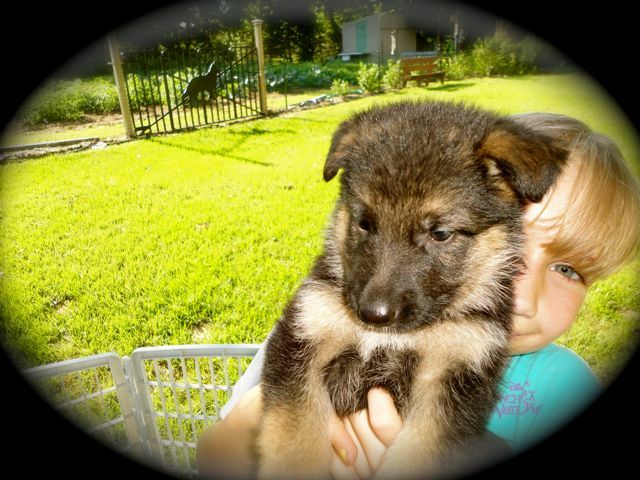 A $250 deposit will reserve your puppy. Select K9's accepts all major credit cards. 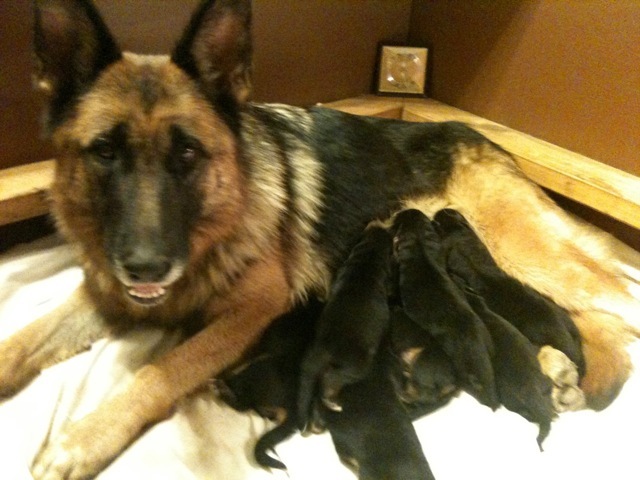 Katina had 6 girls and 3 boys!! 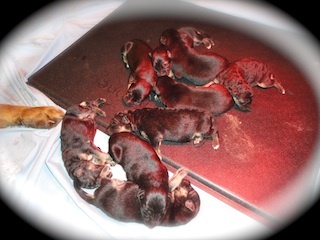 All are quite healthy and mom is doing great! We will post more pictures and updates soon! 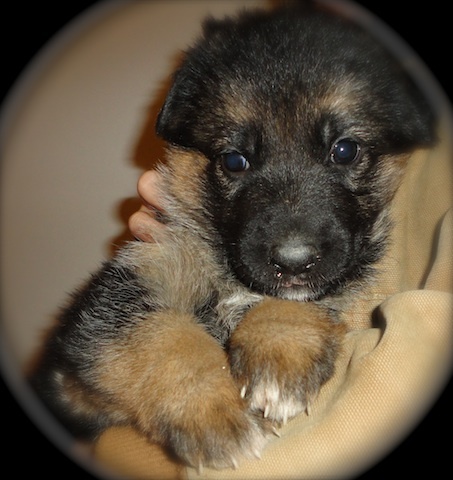 Ruger and Katina's litter will combine some of the most famous bloodlines in Germany. Please click on these links. 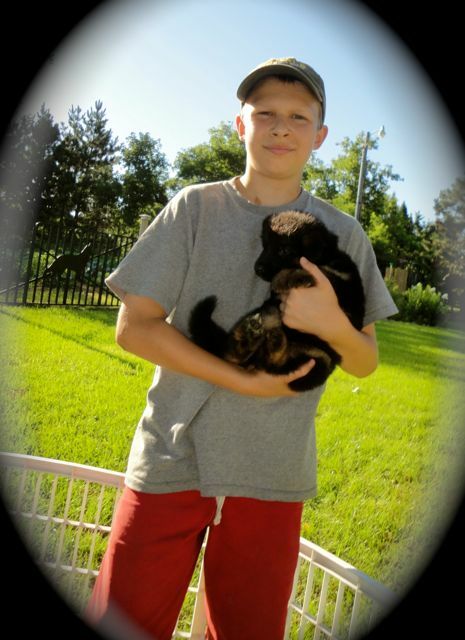 VA3 Erasmus van Noort (Katina's father), Wallace aus Agrigento, and Orbit von Tronje!! 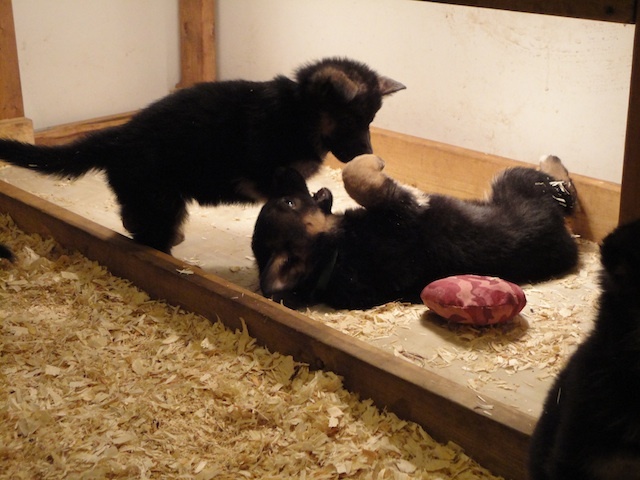 Eight weeks old... ready for their new and permanent homes! Dam (mother): Xitta vom Streek. 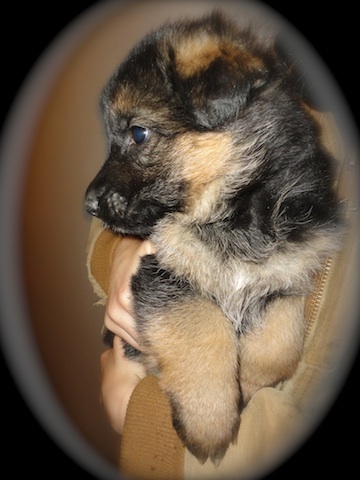 Xitta is the daughter of world famous VA, Schh3, KKL1 Orbit von Tronje. 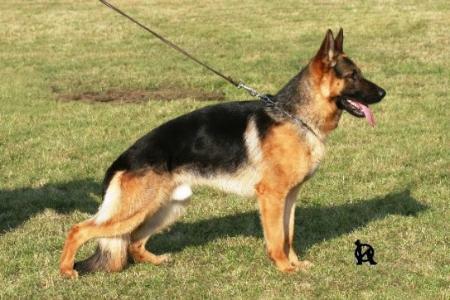 Sire (father): KKL1, ZVV, Velmi Dorby Ory Rumina Moravia.